Dr. Suzanne Humphries is a medical doctor with specialties in internal medicine and nephrology. She has years of experience in seeing and treating illness resulting from vaccine damage, particularly kidney failure. It is highly unlikely you will ever hear her interviewed in the mainstream media, because the mainstream media only presents one side of vaccine safety. 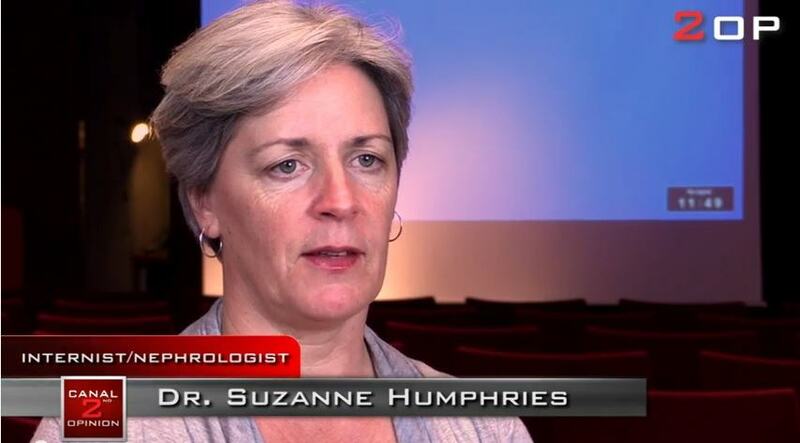 Dr. Humphries was recently interviewed while traveling in Sweden. The information she shares in this 22 minute video is information every person in America should have access to, particularly doctors and those administering vaccines. We summarize and review the video here. I have been covering the vaccine issues for many years now, and I must say that what Dr. Humphries covers in this 22 minute video is by far the best presentation on vaccine safety I have ever watched. People, watch this video!! If you have doctors who are open-minded and want to learn about the inherent dangers of vaccines, show them this video! Churches and other places of worship need to get together and show this video. Let's educate people on the entire truth of the issue of vaccines, because the government and medical system does not want you to know this, and the mainstream media in general is not doing their job in covering this issue. Learn why this doctor who used to administer vaccines now says: "I don't believe in vaccines. I don't even believe a little bit in vaccines. I believe they can do more harm to me than I may ever be able to make up for."